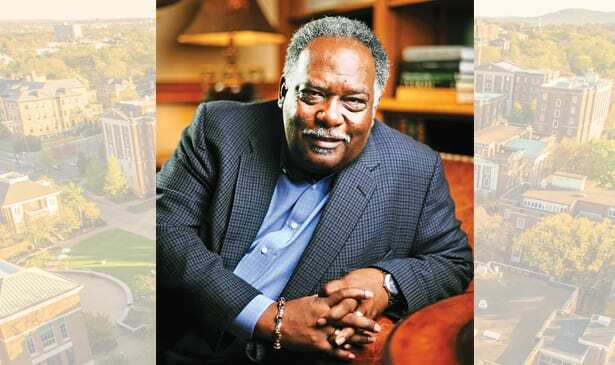 NASHVILLE, TN — When noted academic executive David Williams II joined the leadership team at Nashville’s Vanderbilt University in 2000, few realized at the time Williams would become an essential member of the university’s brain trust charting and navigating its steady progression toward becoming a model of the nation’s evolving diversity in higher education. “This is not the place I came to 18 years ago, I never had any idea it (Vanderbilt) would change,” Williams said in a recent Tennessee Tribune interview. “Vanderbilt is doing this quietly,” he said, acknowledging the institution’s steady approach toward its status as a minority majority institution, one in which an institution has a wide variety of ethnic and cultural groups in its population, yet no racial or ethnic group constitutes a majority. Indeed that is a long way from Vanderbilt’s clear standing as a historically white institution with deep roots in the South. When he joined Vanderbilt, the university reported a minority enrollment of about 22 percent. Today, some 45 percent of its enrollment is made of a mix of racial minorities and the trend line shows it growing, according to federal enrollment data. “You need to know about our past,” he says, noting the university’s role in the history of the South cannot be changed. “ But you need to judge us based on what we want to do,” said Williams. “You can evolve.” As for the institution’s substantive change, it reflects “intentionality.” It wants to be a meaningful part of the future, he said. Today, as a veteran Vanderbilt law professor, Vice Chancellor and Athletic Director, Williams is a first string partner of Chancellor Nicholas Zeppos, a fellow law school teacher. Williams is a key member of the team that helps keep the massive Vanderbilt engine tuned and wheels turning as it maps out its future for this century. William is credited with helping Vanderbilt climb that cultural pluralism mountain, although he humbly declines credit for the important role and numerous key steps admirers and peers say he’s taken for the institution. “Vanderbilt was small enough (when she was a student) where administrators got to know students,” said Blanca Torres, a 2003 graduate of Vanderbilt. She traveled across the country from her hometown of Pasco, Washington after graduating from Pasco High School to make her first trip to the South to enter Vanderbilt. “They tried to break this perception that Vanderbilt was this elite Southern school,” Torres recalled in a telephone interview. “They were thoughtful about ‘how do you break out,“ said Torres, now a business writer for the San Francisco Business Times. Vanderbilt’s overall standing and its financial aid package helped persuade her to give the institution a chance, said Torres. “He (Williams) was a very visible person in leadership,” Torres said, adding she got to know Williams in her student work as a reporter for The Vanderbilt Hustler, the feisty campus newspaper, and as an organizer of the campus chapter of Lambda Theta Alpha, one of the first Latina college sororities in the nation. Williams presence and actions helped ease her occasional concerns about whether she made the right choice in taking Vanderbilt’s invitation to attend college there. “Vanderbilt was small enough where administrators got to know students,” she recalled. She has no regrets in retrospect, she said. Being accessible as an adult leader to share knowledge and wisdom are admirable characteristics Williams learned since childhood from his parents, he said. As Torres and others pointed out, he has since shared many times as an adult. Years ago, as an early career law school teacher at the University of Detroit, from which he earned his law degree, he was mentor to a young Greg Mathis, then a troubled youth undecided on whether to grow up inside the law or out. He mentored Mathis who is now a nationally famous television jurist. Even today, despite his busy schedule, he stays busy on Wednesdays to teach class. “The most important thing I do is teach,” said Williams, 70 who takes most pride in being the father of four and grandfather of six, putting all other titles and honors aside. During part of his interview which can be seen on Trending With the Tribune, the newspaper’s Web-TV news service, he sounds as enthusiastic and vibrant as a man 50 years younger. While teaching, Williams acknowledges he has learned much along the way. He had passed age 50 before he got a new appreciation for the Confederacy and its meaning to many in the South from his perspective as general counsel and later Vice Chancellor at the university. It was when the university decided to remove the name of a historic campus dormitory honoring the Daughters of the Confederacy that he came to hear and understand “another view of how this group of people dealt with the Civil War,” he said. “ The decision to remove the reference to the Confederacy was part of the university’s plan to give the historic private institution a fresh image for this century. “I had to learn to respect and deal with and disagree,” with those who challenged the university’s decision to remove the name, Williams said. The legal battle pitted two seasoned lawyers on opposite sides of a deeply passionate issue, he recalled. Meanwhile, “our daughters were swimming mates, on the same team…” in school. “We (the lawyer fathers) were adversaries,” he said. The legal battle over the removal of the Confederacy name from the campus building ranks among his most meaningful experiences as part of the university’s leadership, Williams says. Next to that is the recognition of Perry Wallace, the Pearl High School graduate who broke the color line in intercollegiate basketball in the Southeastern Conference as first string center for the Vanderbilt Commodores. Wallace had graduated from Vanderbilt by the time Williams had arrived on campus and he (Wallace)and the university were not on speaking terms, as his final year on the university basketball team and as a student at Vanderbilt had soured all sides. Still, Williams heeded a call from a group of students who were doing a research project on Wallace and, as general counsel and athletic director in one, had the authority to open the university books. The history, the students and Williams discovered, was shared with Chancellor Zeppos. In little time, and with strong strong consensus, the decision was made to give Wallace his long delayed honors. The first step, taken by Williams as athletic director, was to, in 2004, retire Wallace’s jersey number. “This university needed to reach out to Perry and do this whole healing,” said Wallace. That reconciliation step was the beginning of a long renewal of a historic relationship being celebrated this year with the debut of the Vanderbilt documentary “Triumph: The Untold Story of Perry Wallace.” It started this winter in the nation’s capital at the Smithsonian’s National Museum of African American History and Culture. The hour-long documentary, which hit theaters in Los Angeles this month, as part of its national debut shows the good-bad and ugly of Vanderbilt’s decision in the 1960’s to be the first of its peers (Duke, Rice, Emory and other independent colleges) to allow Black students to represent it on the basketball court. In an era of non-violence and forgiving those who preached and practiced hate, Wallace endured it all as he shattered the racial barriers and graduated with his degree. He went on to law school after graduation and taught law in Washington, D.C. until his death late last year. In addition to shining a belated light on Wallace, Williams has also made sure scholarships are established at Vanderbilt in Wallace’s name and that the school speaks proudly today of Wallace’s contribution. He speaks with pride of how the university has benefitted in numerous small, largely unnoticed ways from Wallace’s standing. A recent university tour by a group of high school students from Cleveland ended with a surprise for the school. The students presented Williams a check for $500 for the Perry Wallace scholarship fund. As part of its efforts to enhance its future by strengthening its ties to its past, Vanderbilt announced earlier this year establishment of a Center on Sports and Society. The center, which will be among the programs reporting to Williams, will explore race in sports and the lessons that can be gathered from the experiences and applied in other areas. This fall, Vanderbilt will debut a series of classes focusing on the nation’s historic cities starting with Detroit. Historians and other social scientists will explore “what happened in these cities,” said Williams who grew up in the Motor City living in the shadows of historic Motown Records and listening to the Temptations.